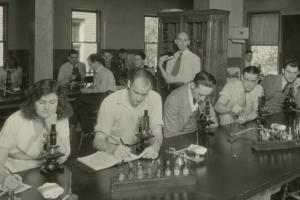 Missouri Valley Special Collections frequently receives donations of historical photographs. Some arrive lacking any information to help precisely identify their subjects and time periods. This makes adding them to our digital image collections and making them available to the public very difficult. 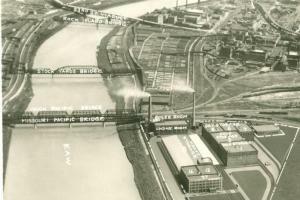 The Missouri Valley Special Collections recently added a “Stockyards” digital collection to our website. 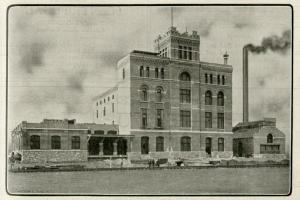 This digital collection is comprised of photographs, maps, blueprints, and architectural drawings from the Kansas City Stockyards archival collection. Though there is currently only a small portion of the collection digitized, we hope to continue adding to this collection as more items are scanned. 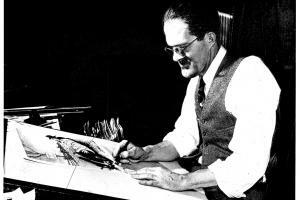 During his 32 years as editorial cartoonist for The Kansas City Star, S. J. Ray amassed an impressive portfolio of roughly 10,000 cartoons. Ray’s distinctive style is still remembered by many of The Star’s readers. 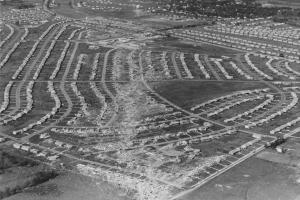 May 20, 2017, marks the 60th anniversary of the Ruskin Heights Tornado. It was one of 57 twisters that struck in the central United States during a three day span that month. It is important to remember that the act of preservation often include structures of the built environment, which in recent decades have come to be regarded as worthy of preservation. Libraries, archives, museums, and other collecting institutions around the country are taking a week to inspire individuals, communities, and institutions to better preserve their cultural heritage. 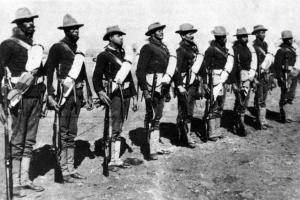 The Missouri Valley Special Collections recently completed the processing of the Frank Schubert Buffalo Soldiers Collection, compiled by historian Frank (Mickey) Schubert. 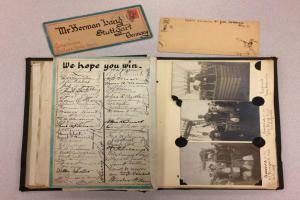 From the outside, Herman Lang's scrapbook looks like any other nondescript, old book. Inside, it contains a story of adventure, suspected espionage, and balloons. What is an archivist? What do archivists do? And what exactly are the Missouri Valley Special Collections? 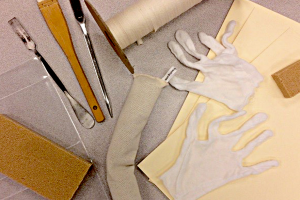 If you have ever pondered these questions, now is your chance to #AskAnArchivist! We’re at that time that circles around once a year, when students put away summer and start or return to school with various levels of excitement or dread, or both, when parents find themselves fluctuating between sadness and relief and teachers and administrators take deep breaths as they once more enter into the fray that is education. ’Twas ever thus.